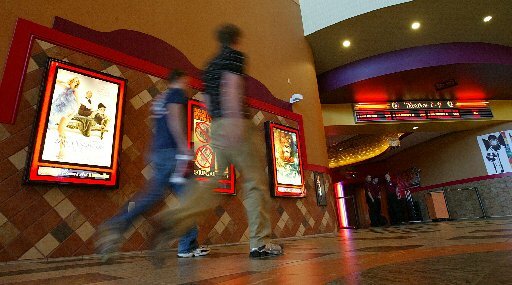 Shares of movie theater operator Regal Entertainment Group hit a 52-week high today — $21.08. The Knoxville based company has seen its stock price climb slowly but steadily over the last 12 months. Since Jan. 1, shares have gained more than 8 percent. In early afternoon trading, the price had slipped back from the 52-week high, trading at $21.02, up 11 cents from Tuesday’s closing price. At least one analyst thinks Regal, the largest movie theater operator in the country, could see its shares hit $23 by the end of this year. Click here for Bourgeault’s full report. This entry was posted in Regal Entertainment Group and tagged Gary Bourgeault, Regal Entertainment Group, Seeking Alpha, summer blockbusters, The Hobbit, The Hunger Games on June 18, 2014 by Roger Harris. Will 3Q be another revenue record-breaker for Regal? Movie theater operator Regal Entertainment Group reported record high fiscal second quarter revenues, but a slight decrease in profits. Next week, investors will find out if the trend continued in the third quarter. The Knoxville-based company said it will post its quarterly financial report after the market closes on Oct. 24. A conference call with analysts will be held at 4:30 p.m. following release of the report. Given a strong box office in recent months, Regal likely will report a good, if not record-breaking revenues, for the fiscal third quarter. But what can shareholders expect in the long-run? Since the first of the year, Regal’s shares have gained more than 38 percent. Will that kind of growth continue? Chatter from stock watchers on the Web is generally positive. 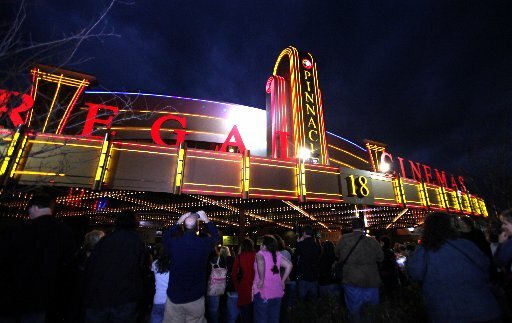 Regal is the largest movie theater operator in the country with more than 7,300 screens in 575 theaters nationwide and Guam, Saipan, American Samoa. Click here for the Motley Fool analysis. Click here for the Seeking Alpha report. This entry was posted in Regal Entertainment Group and tagged box office, growth, Motley Fool, profits, Regal Entertainment Group, revnue, Seeking Alpha on October 17, 2013 by Roger Harris. Miller Energy shares poised to double? Miller Energy Resources has taken its lumps from bloggers, websites and disgruntled shareholders who question the Knoxville company’s financial performance. But today Miller caught a break with a positive piece on the financial website Seeking Alpha — perhaps because the authors have a long position on Miller. Arvind Mallik and Jonathon Fite, Managing Partners of KMF Investments, suggest that Miller shares, are likely to double in value. So far this year the oil and gas exploration and production company’s shares have increased from around $3 at the start if 2012 to $4.82 at mid afternoon today. This entry was posted in Miller Energy Resources and tagged Arvind Mallik, exploration, Forensic Accounter, Jonathan Fite, Miller Energy Resources, oil and gas production, Seeking Alpha, shares on November 5, 2012 by Roger Harris. Is Green Mountain Coffee Roasters a merger target? If so, what does that mean for the company’s relatively new roasting and distribution plant in Knox County? The maker of the Keurig single cup brewer system has seen its share price plunge from nearly $116 a few months ago to less than $18 today. As its stock has spiraled lower, talk of a takeover has increased. Green Mountain expanded to Knoxville in 2008, investing millions in a distribution and production plant in Forks of the River Industrial Park, where it employs several hundred workers. This entry was posted in Green Mountain Coffee Roasters and tagged coffee, distribution, Green Mountain Coffee Roasters, merger, Motley Fool, roasting, Seeking Alpha, Starbucks, stock, takeover, The Street on July 26, 2012 by Roger Harris. US Bank, the newest member of Knoxville’s banking community, has agreed to pay $55 million to settle a lawsuit alleging the bank manipulated overdraft fees it charged its customers. The Minneapolis-based lender entered the Knoxville market about five months ago when it acquired the assets of BankEast after it was shut down by government regulators. US Bank is one of the largest commercial banks in the country. This entry was posted in Banks and tagged Bank of America, BankEast, Bloomberg, JP Morgan, Motley Fool, overdraft, PNC Financial, Reuters, Seeking Alpha, settlement, US Bancorp, US Bank on July 3, 2012 by Roger Harris. Miller Energy Resources has received its share of online criticism in recent months – that’s what happens when you have to refile corrected financial reports and a class-action lawsuit hangs over your head. But in a somewhat surprising turn, the Knoxville oil company has been the subject of positive online commentary in recent days. A report posted today on the website Seeking Alpha by an anonymous contributor called Rougemont includes Miller among a group of undervalued oil stocks. This entry was posted in Miller Energy Resources and tagged investors, KMF Investments, Miller Energy Resources, oil, Scott Boruff, Seeking Alpha, stocks, Wall Street Transcript on February 7, 2012 by Roger Harris. Is Scripps Networks ‘scared’ and ‘clueless’? Like a number of very successful companies, Knoxville-based Scripps Networks Interactive Inc. is sitting on a big pile of cash. We’re talking several hundred million dollars. Having a lot of cash can be comforting in an uncertain economy, but is it really a good idea? It used to be “considered bad form, even indicative of poor management” to have too much cash, Daniel Carver writes in a piece for the website Seeking Alpha. Carver looks at the cash holdings of five companies — Scripps, Google, Tiffany, Analog Devices and Xilinx. His comments about Scripps Networks are less than enthusiastic. This entry was posted in Scripps Networks and tagged Analog Devices, cash, Daniel Carver, Google, Scripps Networks, Scripps Networks Interactive Inc., Seeking Alpha, Tiffany, Xilinx on December 1, 2011 by Roger Harris. What’s up with Green Mountain and Ruby Tuesday? Today’s market rally is boosting a couple of stocks of local interest that have struggled to hold their value in recent weeks. Shares of Maryville-based restaurant chain Ruby Tuesday were up about 3.3 percent at midday to $6.92. Shares of Green Mountain Coffee Roasters, which has a major roasting and distribution operation in Knoxville, were up about 3.6 percent to more than $51. However, RT stock remains close to its 52-week low, and GMCR has seen its share price cut in half in the last two months. Check out these online commentaries about Kevin Clayton’s recent purchase of RT stock; and Green Mountain’s rapid price drop. This entry was posted in Stocks and tagged forbes, Green Mountain Coffee Roasters, Kevin Clayton, market rally, Ruby Tuesday, Seeking Alpha, stocks on November 28, 2011 by Roger Harris. TheStreetSweeper has a particularly critical report that questions the value of the company’s Alaskan assets, among other things. This entry was posted in Miller Energy Resources and tagged Miller Energy Resources, Scott Boruff, Seeking Alpha, TheStreetSweeper, Villa Collina on July 29, 2011 by Roger Harris.